Just like several other members of this forum, I grew up playing Rockstar's Grand Theft Auto: Vice City on my old PlayStation 2 back in late 2003. Unfortunately, when the PlayStation 3 came around, we threw away my PlayStation 2 and all of its' games considering it was doing nothing more than collecting dust. 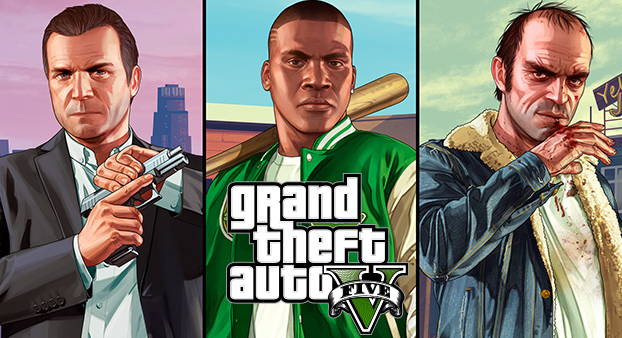 Since then, five other GTA games have been released, the most recent being Grand Theft Auto 5 for the PC. We have seen several spectacular mods surface since Apr 14, 2015. Some of these mods are just plain wacky, such as gigantic whales spawning wherever you go, or planes that follow you around and try to annihilate you. While these cheats are quite nifty, modders have already accomplished much more than simple .RPF edits. Yesterday evening, a Swedish Youtuber who goes under the alias taltigolt uploaded a video called "Vice City Converted To GTA V." The video shows off a new texture modification that has exploded in popularity within the gaming community. The showcasing has already gathered 235,180 views and approximately one thousand likes. As the video continued to play, I was stunned by how beautiful the textures resembled the original Vice City title. Apparently, the developers are still working on the map and it is nowhere close to being finished. I decided to contact NTAuthority, a prominent Grand Theft Auto and Call of Duty mod developer who has converted the Vice City map to GTA 5 and has also assisted with several other modding-related projects throughout the last six years. I began the interview by asking him how long he had been modding for, and he gave a well-described summary of his modding career. NTAuthority began modding back in late 2008 due to the lack of San Andreas modding tools. As he progressed in the modding scene, he learned both C++ and C# along with some web development languages. He eventually began to work on several independent projects, one of them was a tool that allowed hackers to convert maps into other games. He is responsible for several other map mods, such as GTA 5 PC Mods GTA London Converted To GTA 5. While many do not recognize him by name, many recognize him for his work and constant efforts. Personally, I think this modification has a long way to go. As stated by GameSpot, "The flat textures and other oddities are likely to be improved and tweaked in the future." I think the idea is very original, but I hope to see much more come from it. How do you feel about this new map texture? What resemblances do you see? What do you think should be improved upon? Leave your opinions in the comments, I look forward to reading them. Thanks Hulk for bringing this topic to our attention.